The promise that the Businesswomen’s Association of South Africa (BWA) makes to its members is that it will leave no woman behind in its strive to be the voice of change by women for women, making them visible, accountable and meaningful. 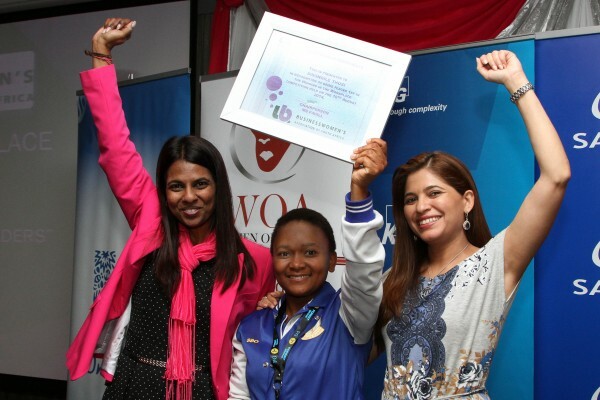 When Durban-born Farzanah Mall took on her new role as National President of the BWA in November last year, it was clear from the start – she would ignite a new passion in the organisation – and true to the promise of the BWA, do whatever it would take to ensure that this voice is heard – louder than ever before. Let’s face it – how many of us would be prepared to take a cut in salary from our “day jobs” to devote a day a week to what we believe in? Being a director in the advisory risk consulting division at KPMG in Durban is no small job – yet that is exactly what Farzanah Mall did. Lucky for her, her salary was not cut, as her firm totally supports Mall’s views (and those of the BWA) that gender diversity, and promoting the inclusion of women in the corporate world are key to economic growth. Driving the strategy of the BWA together with the key sponsor, Sasol, the BWA Board and regional chairpersons, her focus is to ensure that the BWA achieves its objectives and delivers on all programs, events and initiatives. “I represent the BWA on public platforms and advocate the BWA views in various forums. I work with a strong board of industry leaders and the regional chairpersons, each of whom have a group of volunteers who sit in specific project sub-committees. We also have a dedicated team of 12 full-time staff members. Together with the volunteers we have well over 100 people working on various projects for us within any year, as well as the support from representatives from our key sponsors,” says Mall, also the devoted mother of an 11-year old daughter. As a qualified chartered accountant with extensive experience in providing business advisory consulting services, including risk consulting, strategy and business development to a number of key organisations, both locally and internationally, Mall has been in leadership positions in the BWA for more than five years. She has been instrumental in driving the KZN BWA growth strategy, which has resulted in the transformation of the region into one of the most successful branches in the country. “Both these roles have allowed me to understand the key success factors that are necessary to ensure organisational growth and optimal functioning – these include developing a strong organisational strategy, structure, robust stakeholder engagement, proper financial management, consistent governance platforms and most importantly, ensuring that the BWA adds real value to its members and contributes to the three pillars really important to us - driving transformation, nation building and socio-economic growth. “I have also participated in a number of public forums on gender diversity, leadership and issues facing women in the workplace. We have successfully hosted mentorship and development programs and hosted round table leadership economic discussions and debates,” Mall says. With Mall in the driving seat, and her 15 years of experience in risk consulting, governance, strategy and business development services, the organisation has much to gain. “Having significantly contributed to the growth of many organisations/businesses, I would use my experience and network to ensure that we deliver on our strategy and promises to our members. Of key importance, our goals are to increase our member base and benefits to members. We aim to be advocacy agents for improved gender equality in the work place and through our various initiatives we support women in leadership positions. We also have a strong focus on entrepreneurial development programs, networking events, recognising the achievement of women through our awards programs and we give post-graduate bursaries,” she told BBQ. 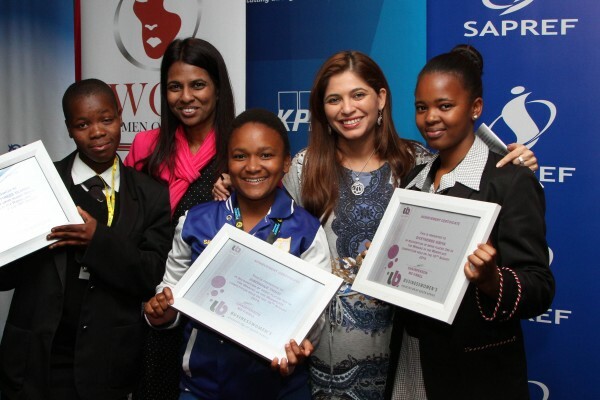 A project close to her heart is the Businesswomen of Tomorrow programs, which focuses on the development of Grade-12 girls from rural and previously disadvantaged communities. Mall says the talent and intelligence of the girls, helping them to understand how to make informed career choices and giving them access to successful leaders in South Africa gives her hope regarding the future of South Africa and what can be achieved when business/leaders give back to the community. Talking about what the BWA, under her leadership, has in store to ensure that BWA’s voice is heard in government and in the corporate sector, Mall is excited about the launch of the 2015 BWA Women in Leadership Census. This powerful and relevant publication provides quantitative and qualitative data of the progress of women in key decision-making positions in the mainstream economy. This year the Census will be available in an e-book format online to ensure that the BWA can provide access to a greater audience. The link will be provided on the BWA website. “The research looks at the representation of women in leadership positions in companies listed on the Johannesburg Securities Exchange and in state-owned entities. The data is also benchmarked against data from government departments, which highlights the participation of women within the public service. For the 2015 Census we have also included global views, views on entrepreneurial leadership, and views on the education and healthcare sectors. We have also interviewed various successful leaders regarding their growth and success stories. “Premised on the notion that ‘what gets measured gets done’, the BWA Census will provide an on-going, comprehensive analysis of women in leadership and allows us to hold organisations accountable in terms of gender inclusivity. There has been much anticipation and excitement regarding this years launch,” she says. The launch will take place on 8 July 2015 and is expected to be well attended by key leaders in South Africa and includes a panel discussion to unpack the results. The BWA is the largest and most prominent non-profit association of business and professional women in the country and the biggest role the BWA plays in a post-apartheid South Africa, from an economic perspective, Mall says, are the are various challenges that women face in business. According to her, access to opportunity, markets, finance and networks, are the main key areas women need to focus on. This includes business credibility, knowledge and leveraging a strong network. Farzanah Mall has a busy and demanding career and as a mother, she often needs to juggle the many balls thrown at her. How does she do it? “Having a strong support structure, great teams and effectively managing my time each week has become key for making sure I manage my role at work and that I have quality time at home with my daughter. My work is high demand, dealing with various stakeholders, working on multiple projects, speaking at events, leading teams and travelling across South Africa, and in some cases internationally. I’ve also learnt over time to delegate and I ensure that we have hired the right people, who are passionate about what they do. I make sure that when I am at home with my daughter, I do not answer the phone and I spend quality time connecting with her and doing things she enjoys. I believe in having a balance and whilst it can sometimes get busy, I ensure that I am away from the office for at least a month every year, with no or limited access to email. “For a perfectionist, one of the greatest tools I learnt early on is that when you take risks or try something new, factor a 20% failure rate into any year. In today’s high stress, high paced environment you will make mistakes. Learn the lesson, ask for forgiveness if necessary and move on. Having sleepless nights and being hard on yourself limits your productivity. It’s OK to make mistakes. We are all human. Chances are you will perform even better because you will not be afraid to take risks and explore opportunities outside of your comfort zone,” she says. Mall, who believes in the importance of mentorship in the process of gender transformation in our democracy (and ultimately in helping to mold our future female business leaders), is of the opinion that mentorship can ensure that you not only have a sounding board to discuss your goals and ambitions, but that your mentors can share their experiences and hold up a “mirror” to analyse your development areas. “Most successful women leaders have all had mentors (both male and female) who have pushed them to ensure they achieve their dreams, acknowledged their weaknesses, that they take more risks, explore their capabilities and they help them grow in confidence. In terms of my own growth journey I believe I have been able to achieve many of my goals because I was carried on the shoulders of ‘giants’ - men and women who invested in me. “I look at South Africa and see the impressive talent we have in this country and we have the resources, yet we have such poor outcomes. The income disparity, poverty, corruption, lack of good quality education and healthcare for all people is saddening. My passion for economic growth implementations strategies is that we know it’s time for change. We need to relook at how we work together, public and private sector with the community for the betterment of all of humanity. We need to revisit our business models, leadership capability, development strategies, and we need to ensure that we have the right people in the right roles, increase accountability and ensure that we understand the investment decisions to drive change,” she says. Mall proudly says that she loves to develop talent. Both her roles at KPMG and BWA allow her to work with young minds and she believes that the youth is our future and that they have a right to equal opportunity. True to the BWA philosophy, Mall believes that women have a key role to play in the African economy - as mothers, significant financial contributors to the well-being of their family as well as the business and professional contributions they bring in various industries. “At an intake level women make up just over 50% of new hires, however at a senior management and leadership position level the number of women in leadership positions diminishes to approximately 21% in South Africa. People are our greatest talent. If you are unable to retain your top female talent, you may not have the best people working for you with diverse capability thinking and you may miss the opportunity to further improve your performance targets. “Having participated in and contributed to multiple discussions and projects regarding the value that diversity, particularly gender diversity brings to the boardroom, I have seen the direct impact to the improved performance of a company/organisation based on their strong inclusivity policies and practises. “Today we are at an interesting juncture. Over 80% of consumers of products and services globally are women. If companies do not understand their market and how women make business decisions, they will not have a competitive edge in business,” she told BBQ. She says we have also seen an increase in legislation with respect to women on boards. Japan for instance has been the latest country to legislate a minimum number of women in board positions, following countries such as Norway (who was first in 2005) and other countries such as France, Italy and Belgium, as they have seen the economic benefit of female participation.